You can become more competitive in the lucrative trade show circuit. China products can be ordered directly through Cyber Import in Beijing. It doesn't matter what kind of Trade Shows or markets you target. If you already attend any of these shows, inquire about how to purchase our sample lines. We welcome the chance to be your China Factory Agent. Cyber Import no longer attends trade shows outside China. All our time is consumed to oversee production from Beijing and our branch offices. We coordinate exports from thousands of sources in our factory network. Importers, on-line vendors, wholesalers, and stores from over sixty countries have come to rely upon us for dependable service. Experience for yourself why. Dates Change Slightly for 2009, Events Remain the Same. Email the Promoters for Info. 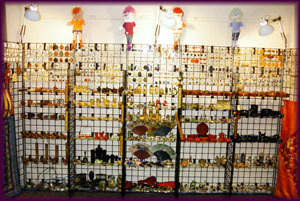 2/27-29 Bead Santa Barbara, CA Gem Faire. 3/13-15 Gift Chicago, IL Chicago Gift & Home Mkt. 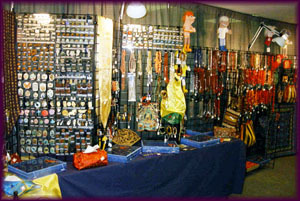 3/19-21 Bead Detroit, MI Gem & Lapidary Wholesalers, Inc.
5/28-30 Bead Chicago, IL International Gem & Jewelry Show.